How far in advance should I call to book my wedding? Our wedding slots book first come, first serve. The date is held with a fifty dollar non-refundable deposit. Because we are unable to predict exactly when we will be booked, we encourage couples to call as soon as possible. Simply give us a call with your cake flavor preferences (see list below), and we will prepare a to-go tasting box and pricing information for you to pick up and enjoy at your leisure. 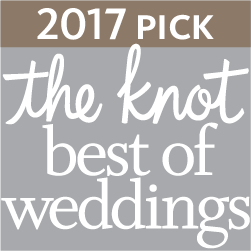 If you would like to book your date with us, call us, and we will schedule a consultation to discuss all of the final details with you. 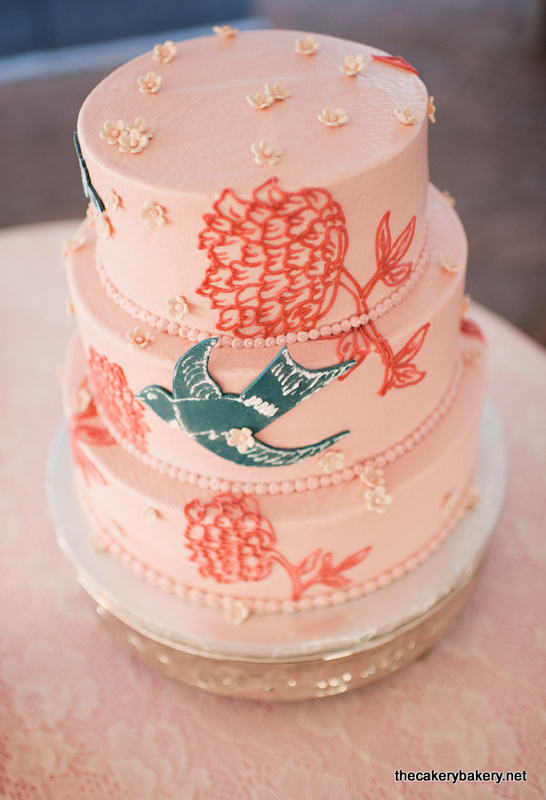 We can comfortably accommodate three individuals in addition to the cake designer. If you would like to bring a friend or family member, please let us know while we are scheduling your appointment. Can you serve extra sheet cakes? 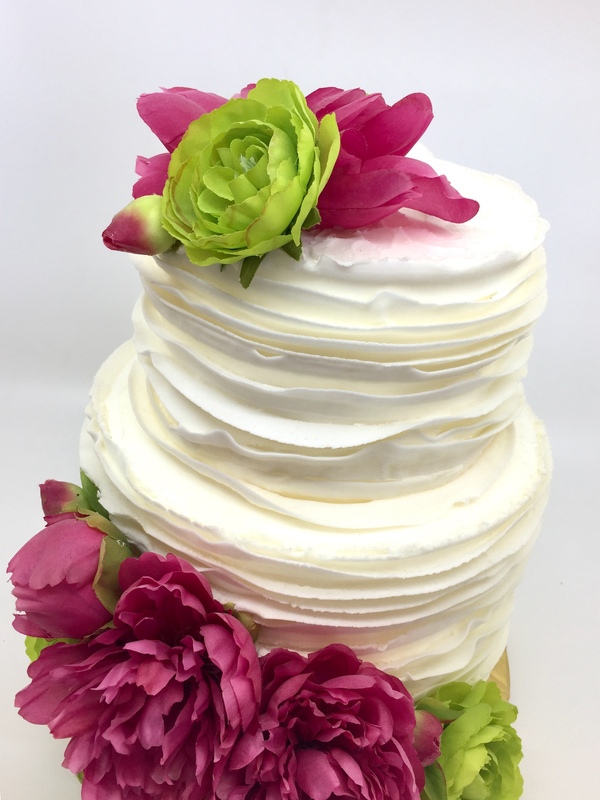 Rather than offering single-layer sheet cakes, we offer what we call “kitchen cakes.” These two-layer (single tier) cakes look exactly the same as your presentation cake when sliced and cost nearly a dollar less per serving. If I have color on my cake, do I need to provide a color swatch? YES! We want to get as close as possible to matching the colors of your wedding. Because computer screens and printers vary widely, we require an actual swatch of fabric, paper, ribbon or other material that represents your color/s. If a swatch is not provided, color-mixing is left to the discretion of the cake designer. Will you put flowers on my cake? 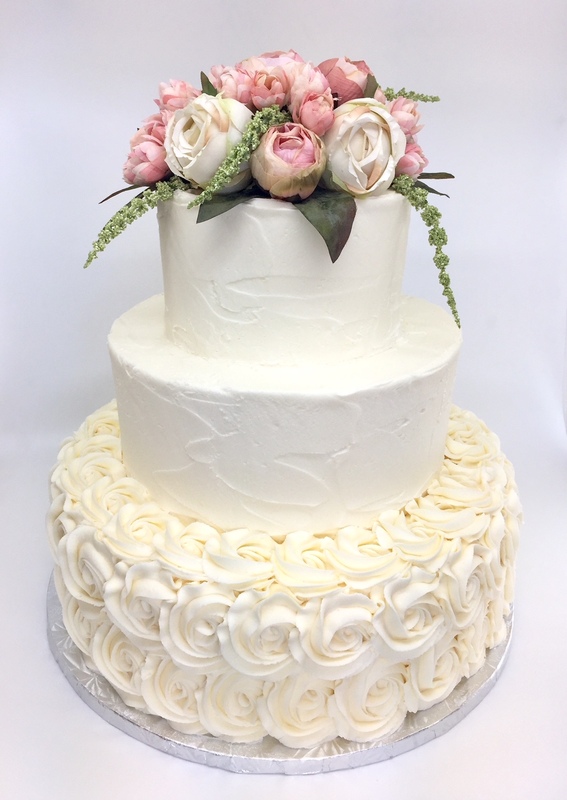 If flowers are left on the cake table at the reception site prior to our arrival (and designated/marked for the cake), we will be happy to put them on your cake for you. What toppers do you have available for purchase? We have a small selection of wood toppers that can be purchased in natural wood, gold or silver. Fresh flowers should be ordered through your florist. 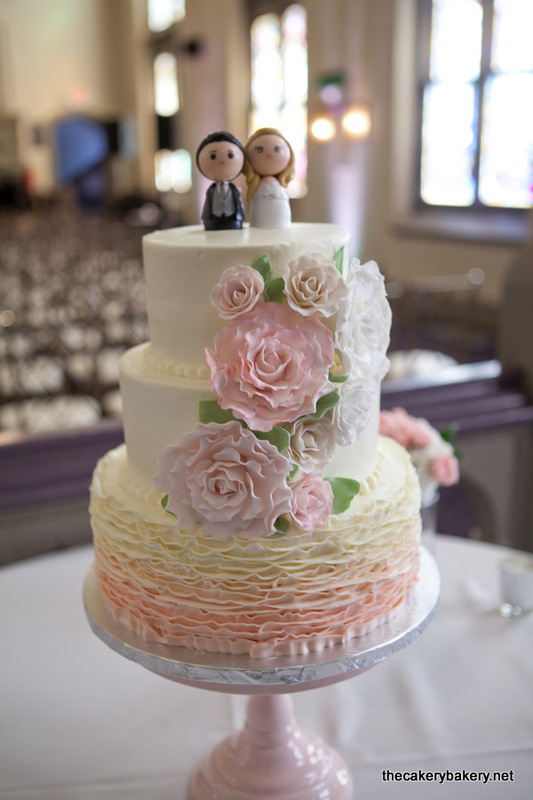 How much does an average wedding cake cost? Our cake prices begin with a per-serving cost. Round cakes are $3.50 per serving and square cakes are $3.75 per serving. “Kitchen cakes” are $2.25 per serving. This cost includes your choice of classic cake and classic filling flavors and basic (“A” design) buttercream decorations. See our price list for more information. If I bring you a picture of a cake I love, can you make it? We would love to see your design ideas. Please keep in mind that we do not cover cakes in fondant and thus are unable to recreate some cakes. Other style and logistical restraints may keep us from replicating the photo exactly; please send or bring in the picture and we’ll be happy to give you a more detailed response. All cakes 3-tiers or larger must be delivered. 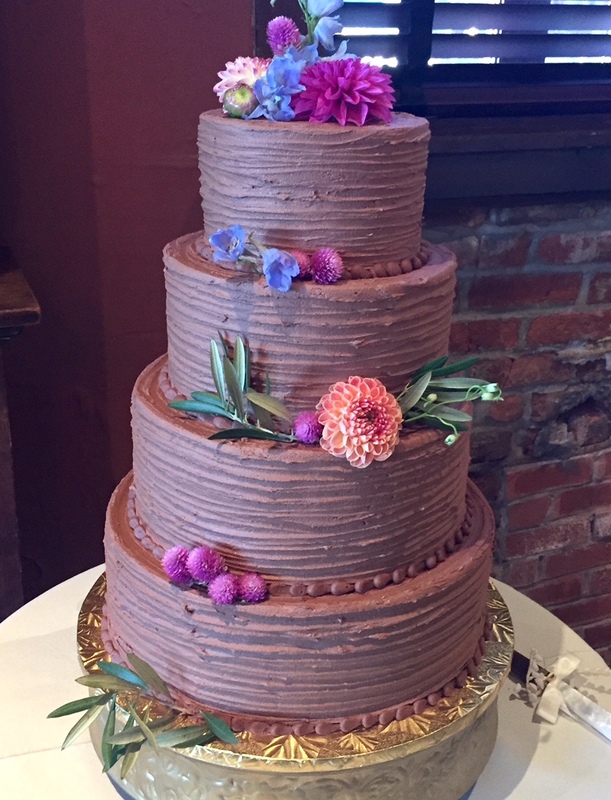 We are happy for you to pick up a one or two-tier cake and any number of cupcakes. We are also happy to have you pick up a cake that we create with one or two faux tiers and up to two tiers of real cake.